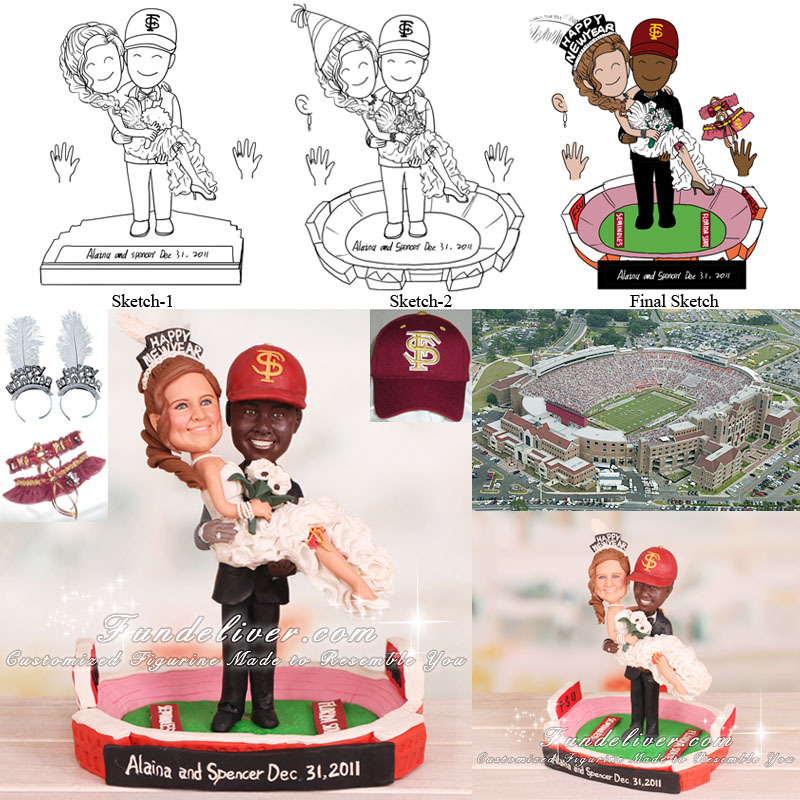 This is a completely customized Doak Campbell Stadium (FSU football stadium) wedding cake topper ordered by one of our customers. 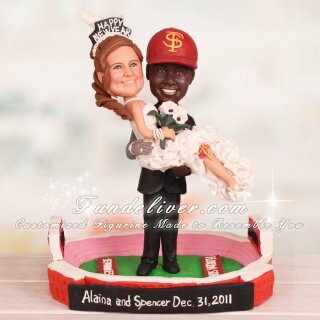 They would like a similar style figurine close to the Standing Inside of Wrigley Field Cubs Cake Toppers, but to change the groom’s outfits to a tux with bow tie (black and white) and FSU (Florida State University) hat on. They would want the bride to be about the same as our sample but with her dress, wedding flowers and HAPPY NEW YEAR feather band, and they would like the bride to have one leg showing so that a FSU garter on the leg can be seen. Instead of the Wrigley field they would like the FSU football stadium (Bobby Bowden Field at Doak Campbell Stadium) with their names and their wedding date on the sign.